On Tuesday, we saw the CBI arguing that, post Brexit, we could compensate for the loss of influence over the making of EU legislation "by continued membership of the many EU agencies - such as the ones governing aerospace and chemicals - in which other non-EU nations like Turkey currently participate". This is so far from a realistic solution that, normally, one would dismiss it outright without even bothering to comment. The problem is that it comes from the UK's premier business organisation, offered as part of a report endorsed by CBI Director General Carolyn Fairbairn. I've actually seen Fairbain in the flesh, speaking to a high level audience in the city, and have to say that I was singularly unimpressed. But when her organisation seriously suggests that, for instance, we can adopt a stance with the European Aviation Safety Agency (EASA) which will compensate for Brexit, you wonder if there's any hope for us. It's not even that this stance is hopelessly optimistic. The CBI have actually got it wrong. EASA lists its members on a public website from which it can be deduced, very easily, that Turkey is not a member. Further exploration indicated that the country does not even have formal, bilateral relations with EASA, and has to settle for limited relationships known as Working Arrangements. One covers the collection and exchange of information on the safety of aircraft and another deals with the relationships between EASA and the Turkish Directorate General of Civil Aviation. This latter arrangement is as formal as it gets between the two organisations, which amounts to EASA notifying the Turks of changes to relevant standards and assisting them in understanding the applicable rules, "so as to facilitate their transposition and implementation. 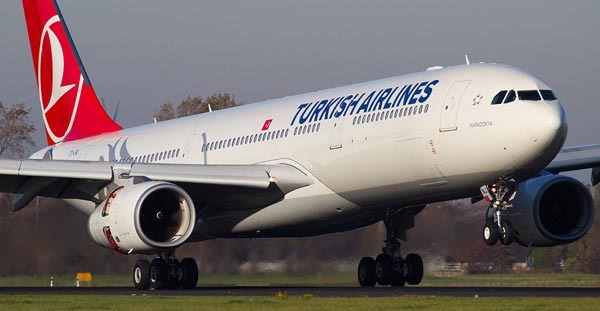 In return for this largesse, the Turks "accept" that EASA will carry out standardisation visits and will rate the facilities inspected as "fully compliant" or in various degrees, "not compliant", whence the Directorate of Civil Aviation undertakes to act on the reports "in order to redress the identified findings". And, for such "services", the Civil Aviation Authority will be invoiced by EASA. As to more general relations in the field of aviation, these apparently are governed by a civil aviation agreement, initialled in Brussels on 25 March 2010. For unexplained reasons, this agreement does not appear on the EU's treaty database. Establishing the precise relationship between the EU and Turkey does, in fact, prove untypically difficult. Key documents do not show up during normal searches. What did show up, though, is a paper from the University of Turkish Aeronautical Association offering a critical analysis of the European aviation safety regulatory framework and Turkey. Of particular interest to anyone seeking an adequate post-Brexit relationship with the EU is the passage in the abstract where it suggests that the current situation "is unfair for non-EU European countries since their participation to EASA does not give them the same rights as EU member states". Hence, it says, the pan-European system currently in place "is now defective", later adding that it is "unable to enhance flight safety in the entire Europe". … the EU's traditional non-negotiated rulemaking style, make the situation unfair for non-EU European countries. In particular, Turkey is now outside the regulatory work and will not be fully in even though it participates to EASA. It had a desire to have a seat in EASA but it was discouraged to see that it will never have the same rights as EU members. As far as this "participation" goes, EASA membership is limited to EU countries. Other European countries enter into agreements with the EU and adopt the Union's civil aviation rules. But they do not have voting rights and any specific areas of cooperation have to be specifically negotiated. Third countries, therefore, "have raised the question of why they should implement decisions over which they have had no influence". It is not known quite what the CBI were thinking about when they cited Turkey's "participation" in EASA as an example which the UK could follow, but if they are serious in proposing this arrangement as a model, then we have serious problems. Yet, it does not stop there. Yesterday, we had Airbus attracting some publicity over its warning that a "hard Brexit will cause business to 'grind to a halt'". Airbus chief executive Tom Enders called the lack of clarity on Brexit a situation that is "damaging and hard to bear" and while he acknowledged that the transition arrangement was "a positive step, once it is signed" it was only a temporary solution that did not solve "all the issues that need to be addressed". By way of a remedy, we then find Enders in CBI territory, with him writing in the Financial Time that the interests of Airbus would be best served through the UK's "continued participation" in EASA. "The European Council", writes Enders, "apparently foresees an 'air transport agreement combined with aviation and security agreements' that are somewhat aligned with current conditions". He thus opines that this "combined with UK prime minister Theresa May’s comments, gives me hope the UK will remain a member of EASA and other regulatory agencies". This, however, is delusional. There is simply no way that the EU could – even if it wanted to – create an exception that would allow the UK, as a third country, membership of EASA, without all other associated nations, such as Turkey, demanding similar treatment. The best that the UK can hope for is the subordinate position afforded to the likes of Turkey, where we have absolutely no say in the making of legislation or the management of the Agency – whilst fully conforming with EU regulation, over which it has no control. That Enders should even suggest membership – when there is absolutely no chance of it happening – is deeply worrying. Yet Enders shares that delusion with Mrs May who asserted n her Mansion House speech that she would seek "associate membership" of bodies such as EASA (as well as the European Medicines Agency (EMA), the European Chemicals Agency). The fact that the Commission turned down the idea almost immediately seems to have had no impact on the prime minister. Then, more recently, we saw her committing to a reciprocal deal with Denmark on fishing, which is something she cannot do – again demonstrating a level of delusion that indicates that she has lost her grip. One has long since ceased to expect anything of our politicians, whose ignorance of the EU and its workings is profound – and apparently beyond remedy. But we do expect our "captains of industry", and their representative organisations such as the CBI, to be better informed. Yet, despite their smart offices, seven-figure "compensation", their lawyers and expensive consultants, these people seem to have no better grasp of the basics than the politicians who so egregiously and frequently get it wrong. One hopes that, when it comes to building aeroplanes, Mr Enders and his company is slightly more professional than is apparent from their attempts to keep abreast of Brexit. On the other hand. if their aeronautical skills are on a par, one should seriously worry about travelling in anything made by Airbus which is more complex than a kiddies' go-kart. As for the CBI, their advocacy of EU membership always was an amateur affair and thus it is not entirely surprising that they are deficient when it comes to charting a safe course through Brexit. But one yearns for a tiny corner of expertise in British industry, where there are people who really do know what they are doing. Sadly, the only repository we have found to date seems to lie in the Commission buildings in Brussels. With the UK's industry leading in the amateur stakes, aided and abetted by an incompetent media and cretinous politicians, it is no wonder we're getting creamed.